Covet International has released a new wallet to showcase their unique concrete overlay and tile ranges. 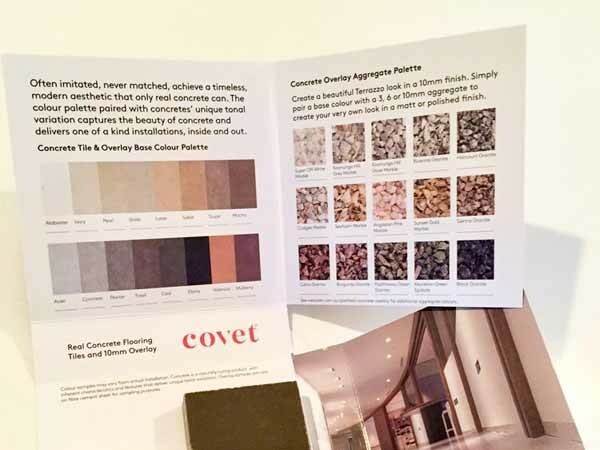 Featuring a timeless yet modern aesthetic that only concrete can achieve, Covet’s concrete range includes polished concrete overlays in a colourful palette and concrete tiles exhibiting tonal variations to create one-of-a-kind installations. Call today for this compact overview of the range.